Light, small, easy to handle and carry, the Leica camera could take spontaneous shots with a dynamism that was impossible up until then. We are now celebrating one hundred years of Leica photography, one hundred years of history. Model Ur Leica built by Oskar Barnack in 1914. Leica Camera AG. 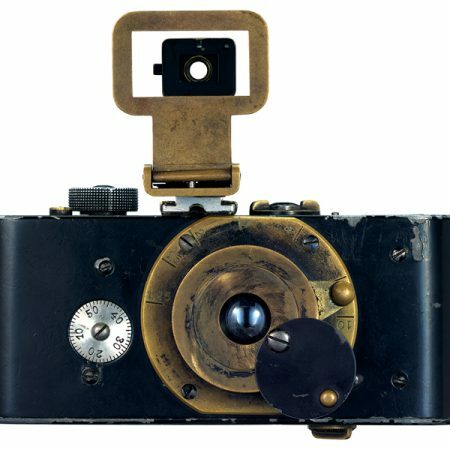 In June 1914, Oskar Barnack, an engineer for Leitz, the leading manufacturer of microscopes, constructed the first functional model of a compact camera, with 35 mm. movie film. Barnack’s mind was abuzz with the idea of a small, light camera, which could take photos in succession in a simple and quick way. His idea was to use manufactured movie film, meaning that it was available on the market, and hence comparatively cheaper. “Small negatives, large pictures” was his motto. This is how the Leica Camera (= Leitz / Camera) came into being one hundred years ago. Its launch had to be delayed until 1925, owing to the Great War, but it meant much more that simply marketing a new camera; it meant a radical change in how we record reality. Light, weighing just 400 grams, easy to handle and carry in a bag, the Leica enabled spontaneous, dynamic and flexible shots, which were impossible to do up until then. Not only did it give access to this art (also practised professionally) for enthusiasts, novices from other sectors and emancipated women, but also, thanks to the new camera with its retracting lens, which could be comfortably carried in a coat pocket, photography become a natural component of everyday life. A new generation of press photographers took a chance on the Leica, particularly for its versatility, to make the basic principle of the news article become a reality. That is to tell an event through individual pictures that complement each other. The exhibition EYES WIDE OPEN! 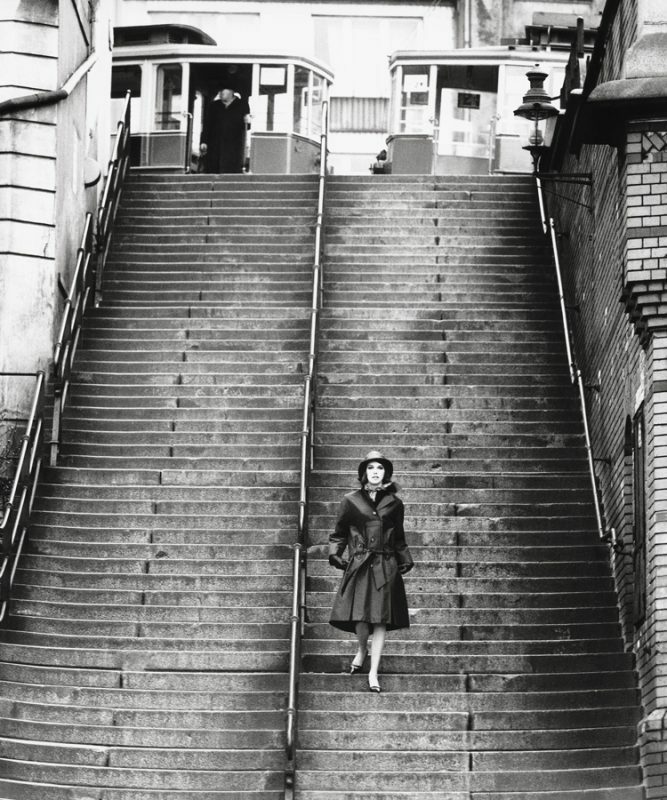 100 years of Leica photography opens on 11 May on the second floor of Espacio Fundación Telefónica, and is curated by Hans-Michael Koetzle. It aims to show for the first time, what the change that the invention and marketing of the Leica camera signified for photography. How this small, reliable and versatile camera, equipped with a high resolution lens, designed specifically for it by Max Berek, marked a paradigm change in the history of photography. The exhibition is made up of more than 400 photographs, along with documentary material including newspapers, magazines, books, advertising, catalogues and camera prototypes. They tell the story of a century of 35 mm film photography from its origins up to the present day. The exhibition is structured in several sections, such as ‘Leica and the “Neues Sehen” (New Vision)‘, where the idea is developed that the lightweight, always available Leica was fundamental in the creation of a new visual language; ‘Photojournalism‘, the new camera could quickly take one photo after another, which encouraged the recently emerged type of news article; ‘Subjective photography‘, now any experienced amateur could also create artistic photographs; ‘Humanist photography‘, the urban universe as the stage, everyday life as a theatrical performance; ‘New colour photography‘, in the forties, the Danish photographer Keld Helmer-Petersen had captured the world of everyday life with a Leica ; ‘fashion photography and the Leica camera‘, the essential features of the Leica M favoured aesthetics acquired by fashion photographers, course grain, natural light and the drive to get out of the traditional studio; or ‘Signature photography‘ with different types of creators who used different resources. Through the works of photographers like Cartier Bresson, Paul Wolff, Bruce Davidson, Capa and Robert Frank, and documentation tracing the development and construction process carried out by its inventor Oskar Barnack, the purpose of this exhibition is to pay tribute to a technology that changed the way we view the world; a similar revolution to the one we are experiencing today with the massive use of smartphones.